Legend has it that God, in creating the three rivers that are born in the mountains of O Xistral (Eume, Landro and Masma), promised each year a man the first river who arrive to the sea. Betrayed by the other two, who left him sleeping, the Eume had to cross valleys and mountains to win. That is why, they say, he came out wild. Before the appearance of the reservoirs in his bed, he was the one who took the life of a man every year. The Fragas do Eume, which extend through a steep valley of deep gorges, presume to be the best preserved coastal Atlantic forest in Europe and one of the few forests of its kind in the whole continent. Its ecosystem is practically unique. 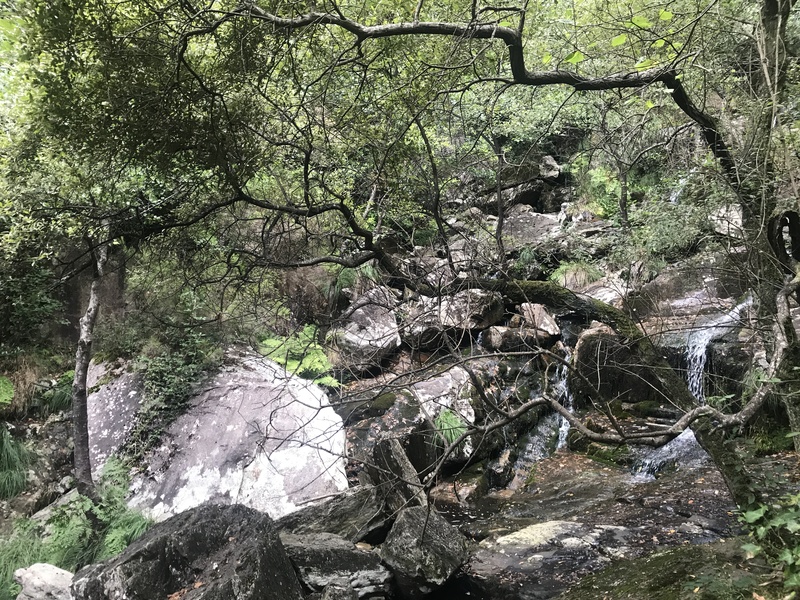 Declared a Natural Park in 1997, it covers 9.125 hectares that extend along the municipalities of Cabanas, Capela, Monfero, Pontedeume and As Pontes de García Rodríguez. This is one of the botanical treasures of Galicia and the Iberian Peninsula, as it is home to some species of almost exclusive ferns and that can only be found in very few enclaves of our geography. It is a thick forest full of oak, chestnut, hazel, ash, birch, yew and arbutus where the branches make it difficult to pass light and wind, thus maintaining a humidity and a constant temperature in the soil. This creates the ideal conditions for the presence of many small invertebrates of great ecological value. In the areas closest to the river, small forests of poplars and alders grow, hiding authentic treasures, such as the mosses, specific to this park, and two rare species of daffodils. The undergrowth of the Fragas has a great relevance not only for its heterogeneity but also to house some of the most emblematic species of this space, such as woodwardia, survivor of the ferns that millions of years ago dominated the Mediterranean climate. Although the flora is the jewel of the Fragas do Eume, they also host some endemic and endangered animal species, from small amphibians and reptiles, such as the red-headed salamander, to larger species such as the wolf or mountain cat, or various birds of prey, like the owl. The passage of man through these forests throughout history is evident in the remains that are scattered throughout the park: several tombs and “castros”, the medieval monasteries of San Xoán de Caaveiro and Santa María de Monfero, or Torre dos Andrade . Also noteworthy are the beautiful hanging bridges spread over the more than eighty kilometres of river. As far as the best way to know the park, it is enough to say that it is on foot. Only then can one find absolute silence, feel the moisture in each breath and discover that there is not a single green colour, but there are a thousand different greens. You must see also the views from the Monastery of Caaveiro, located in the heart of the Fragas, and from the four viewpoints enabled throughout the year. It is, in short, a protected space that offers pleasant surprises to those who go there. Therefore, it is not strange that anyone who visits it is hypnotized by the beauty and magic of the walks as if it were an enchanted forest.